descriptionThis uniquely-designed tennis elbow strap is more effective and comfortable than conventional supports. 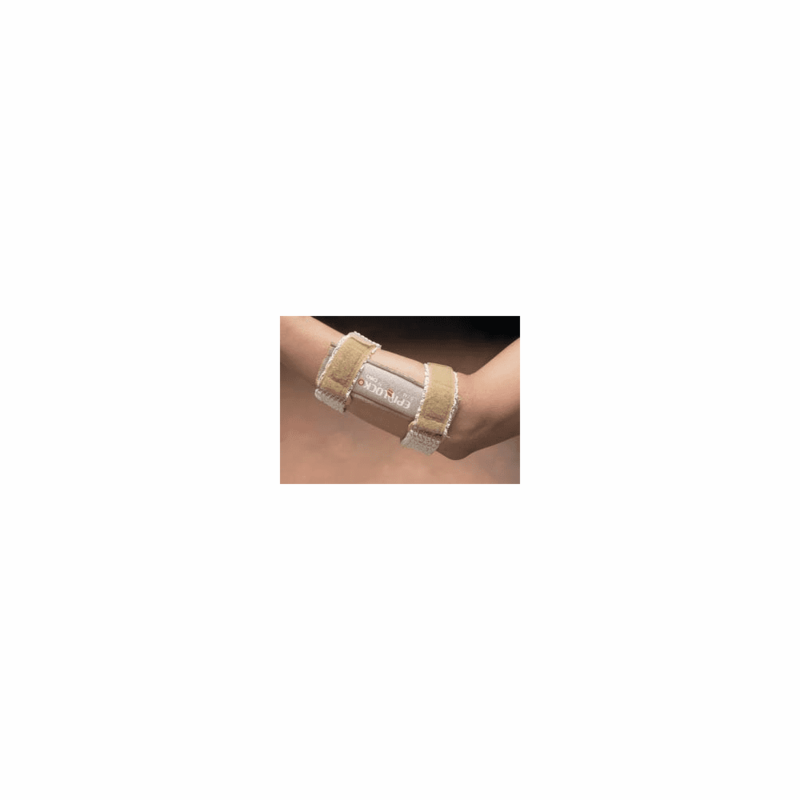 Epi-Lock's unique distal strap supports extensors that are deeply buried and harder to support near the elbow where tennis elbow straps are usually worn. Its two straps together give exceptional support and pain relief. The non-elastic straps are worn comfortably snug. When muscular force is applied, the extensors automatically enlarge causing the straps to tighten. Because the straps are relatively narrow, they focus the binding force for maximum effectiveness. As the extensors relax, the straps return to their comfortably snug condition. *Lightwieght *Won't slip *Washable Our wrist supports are manufactured from DermaDry, an exclusive material that outperforms all conventional bracing materials. DermaDry combines the breathability and water-vapor transmission capabilities of open-cell sponge rubber with the durability, stretch and compression of neoprene. This process allows perspiration to evaporate and is further enhanced by the KwikWick treatment of the soft polyester that coats the inside and outside of the braces. DermaDry keeps just the right amount of soothing warmth in the soft muscle tissues, keeping them flexible while providing compression. A flame lamination process is used to secure the KwikWick treated polyester to the rubber, eliminating the need for industrial adhesives, a known cause of contact dermatitis. SIZE CHART S/M 7" - 12" L/XL 12" - 15" Size is determined by measuring 2" below elbow crease. Comes in beige or brown. Merchants choice.